First, please excuse my photo. Second, please enjoy my photo! This past Saturday my crafty friend Felicita and I took a little road trip to Chino Hills, CA to a LSS neither of us had even heard of before last week. It's called This N That Scrapbooking, and its services include a FABulous paper crafts shop, a dry cleaner, alterations and Fed Ex shipping place all rolled into one! I didn't need anything mailed or cleaned, but I was very excited to meet My Creative Scoop's Mindy Baxter and take her card class. 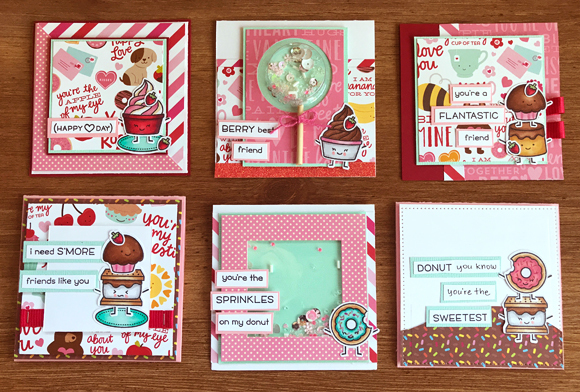 She is a wonderful Copic colorist and I was thrilled for the opportunity -- and her adorable Lawn Fawn Valentine cards were pretty awesome, too! So, if you live in southern CA and are looking for another creative outlet, go find This N That Scrapbooking in Chino and tell 'em Shannon sent you! 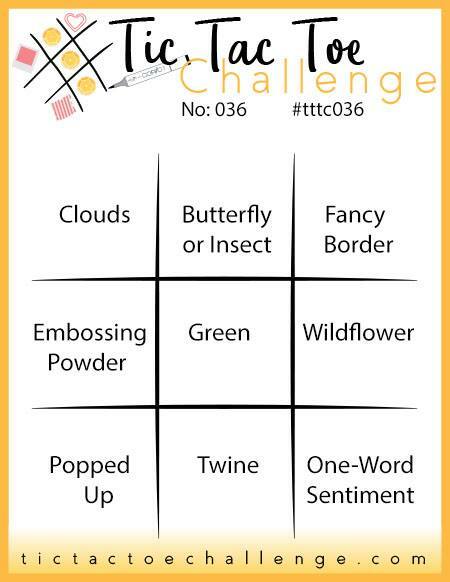 It's time for another Tic Tac Toe Challenge and my Team O buddy Jeanie Stark has come up with a fabulous inspiration board! There are just TOO many fun choices to make here! 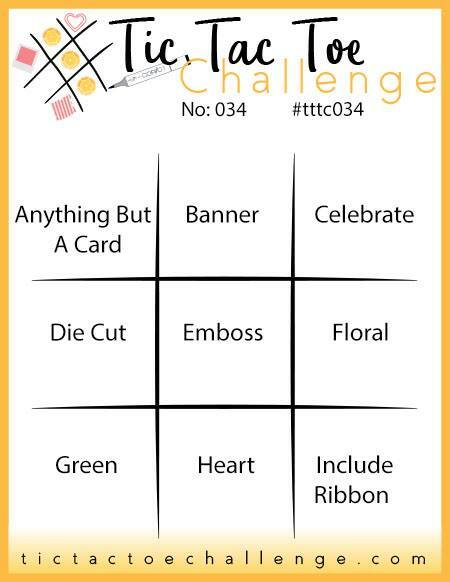 For my card I chose the bottom row: Green, Heart, and Include Ribbon. This sweet llittle llama, with his big ol' ears, is decked out in his favorite scarf and is out playing in the snowflakes. 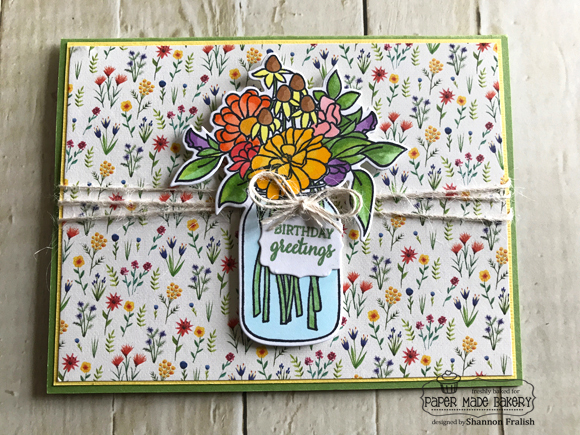 This stamp & die set is from Taylored Expressions and comes with a couple really cute sentiments. I'm not sure how this guy got that heart-shaped tattoo on his backside, but it's kinda' cute so I put Glossy Accents on it to, well, accent it! 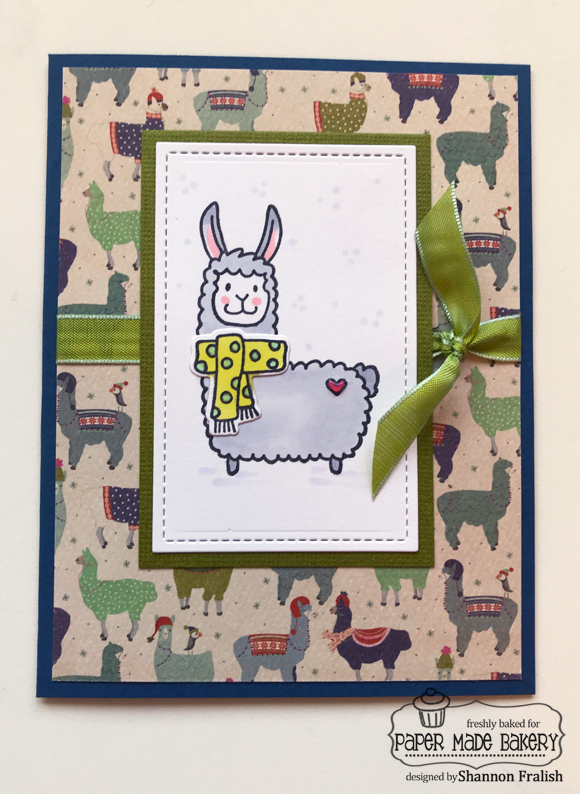 Now, this card and these animal images provide us with a little zoology lesson... while the stamped image is of a llama, the adorable patterned paper by Authentique is scattered with well-dressed alpacas -- see their smaller ears? And in real life, a llama is much bigger than his "cousin", the alpaca. I'll bet there are a million different ways YOU could use the elements in that bottom row: Green, Heart and Include a Ribbon. But if another row interests you, let's see your creation! 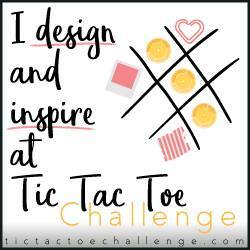 Check out the Tic Tac Toe Challenge blog for loads more inspiration, too! Thank you for stopping by -- have a crafty day!